Dubai: Dr Batra’s, one of India’s well known homeopathy brand, has launched its first ever signature clinic here to provide personalised treatments to patients. “We have received great patient feedback in the last 6 years that we have been operational in Dubai. We are the first homeopathic healthcare corporate and the only Indian company to be a part of the prestigious International Healthcare Project DHCC,” Dr Mukesh Batra, the founder of the clinic, said. The clinic is a state-of-the-art signature clinic with personalised treatments. It is equipped with a luxe lounge which is inclusive of a royal butler service, music lounge and a doctor home visit service. Video calls can be made with in-house doctors. They have opened 4 clinics across UAE in Dubai Healthcare City (DHCC) and plan to strengthen their presence here with 6 more clinics by 2017. 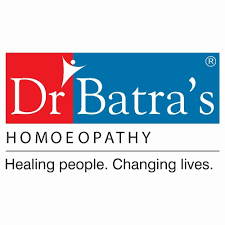 Founded in 1982 in Mumbai, today Dr Batra’s Healthcare Group is the leading homeopathic healthcare corporate, having 221 clinics across 121 cities with its presence in India, Dubai, UK.